William Rooke Creswell was born on 20 July 1852 at Gibraltar, son of Edmund Creswell, the colony's deputy-postmaster-general, and his wife Margaret Mary Ward, née Fraser. Educated at Aitken's Private School, Gibraltar, and Eastman's Naval Academy, Southsea, England, he entered the Royal Navy's training ship Britannia as a Cadet in December 1865. Promoted Midshipman in May 1867 he joined HMS Phoebe; two of his four years in her were spent on a world training cruise, including a visit to Australia late in 1869. Creswell’s next posting was to HMS Minotaur, flagship of the Channel Fleet. He was promoted Sub Lieutenant in 1871 and later transferred to HMS Thalia on the China Station. He also served in the gunboat HMS Midge and on 16 September 1873, during a skirmish with pirates on the Malay coast, he was shot in the hip. In spite of his wound he remained at his post and for his gallantry received accelerated promotion to Lieutenant before being Invalided home. Upon recovery he studied at the Royal Naval College, Greenwich. His next sea-going appointments were in HM Ships Topaze, Undaunted (flagship of the East Indian Station) and London, at Zanzibar, East Africa where the navy was suppressing the slave-trade. Creswell became an interpreter in Swahili and commanded a flotilla until fever invalided him. 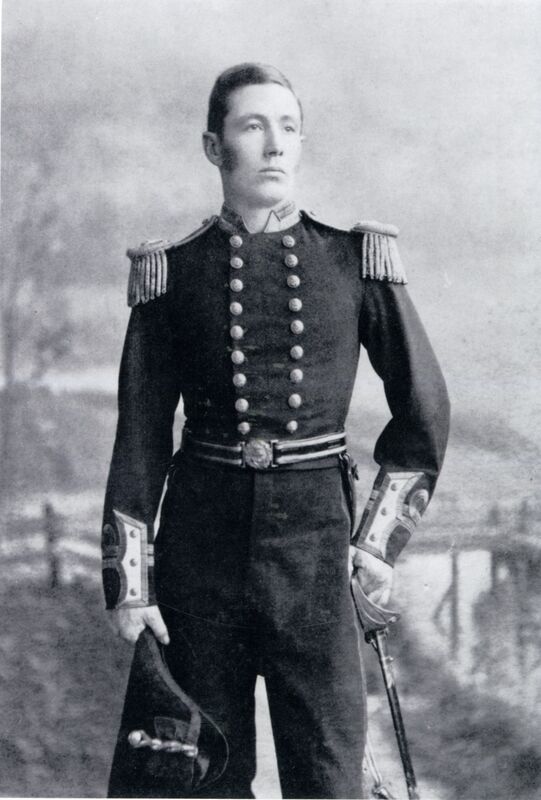 Lieutenant WR Creswell in full dress uniform, circa 1873. On resuming duty in April 1878 Creswell undertook a torpedo gunnery course in HMS Vernon before taking command of the training ship HMS Lion. He retired from the RN on 6 September 1878 and the following year migrated to Australia with his brother, Charles, hoping to become a pastoralist. In 1885 while visiting Adelaide, he met an old shipmate, Commander John Walcot, commandant of the South Australian Naval Forces, who offered him an appointment as a Lieutenant Commander. Creswell accepted the offer taking up the appointment on 12 October as First Lieutenant of HMCS Protector, There he became an advocate for adequate Australian naval forces to supplement the RN squadron based at Sydney. On 29 December 1888 he married Adelaide Elizabeth Stow. 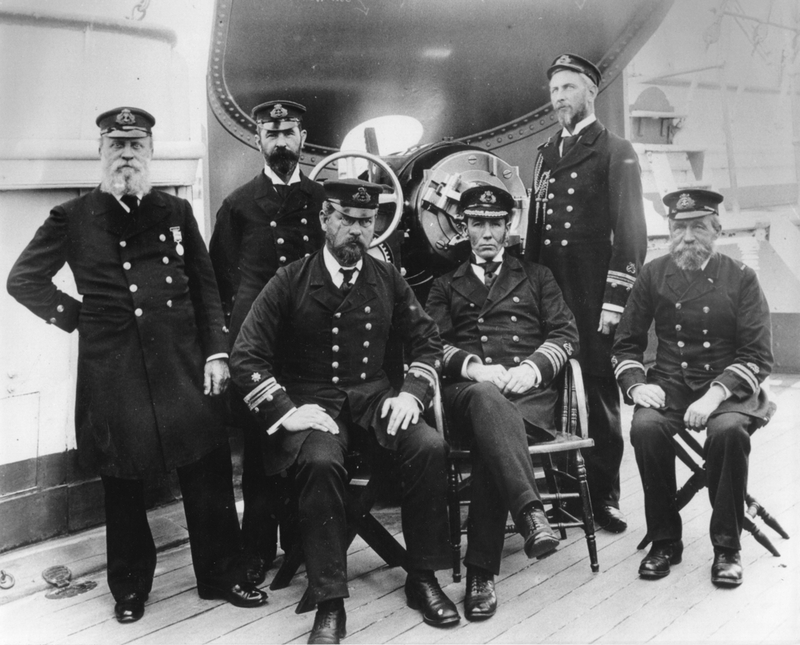 Officers of HMCS Protector, 14 September 1897. Standing, from left: Warrant Officer James White, Chief Gunner Edwin Argent and Sub Lieutenant Patrick Weir. Seated: Chief Engineer William Clarkson, Captain William Creswell and Lieutenant Mashall Smith. Five years later, in the rank of Commander, he succeeded Walcot as naval commandant. He was promoted Captain in June 1895 and appointed CMG in 1897. In 1899, at a conference of Australian naval officers in Melbourne, he recommended the raising of an Australian navy. 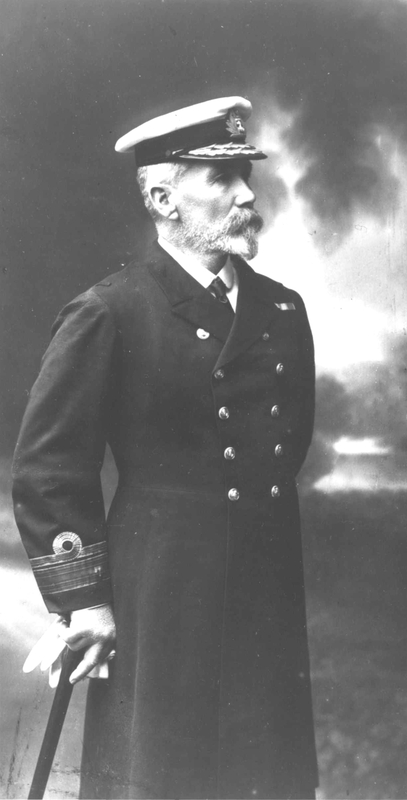 On 7 August 1900 Creswell was appointed a Captain in Her Majesty's Fleet, at the same time taking command of Protector before deploying to China. Creswell was appointed commandant of the Queensland Naval Forces on 1 May 1900 before commanding Protector in Chinese waters on the outbreak of the Boxer Rebellion. Upon Federation, Creswell continued to advocate for Australia to establish its own naval forces. However, the Colonial Conference of 1902 resulted in a naval agreement which provided for a financial subsidy and the acceptance of Australians for service as sailors (but not officers) in Royal Navy ships on the Australian Station. 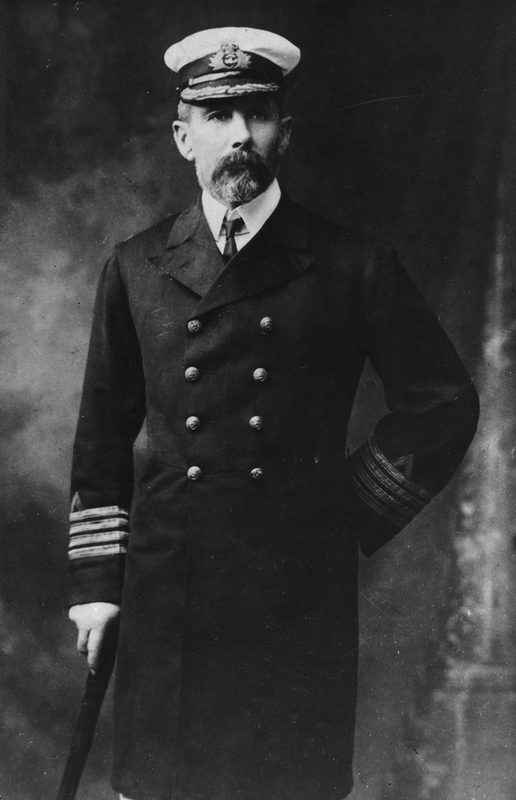 Captain Creswell as director of the Commonwealth Naval Forces, circa 1904. 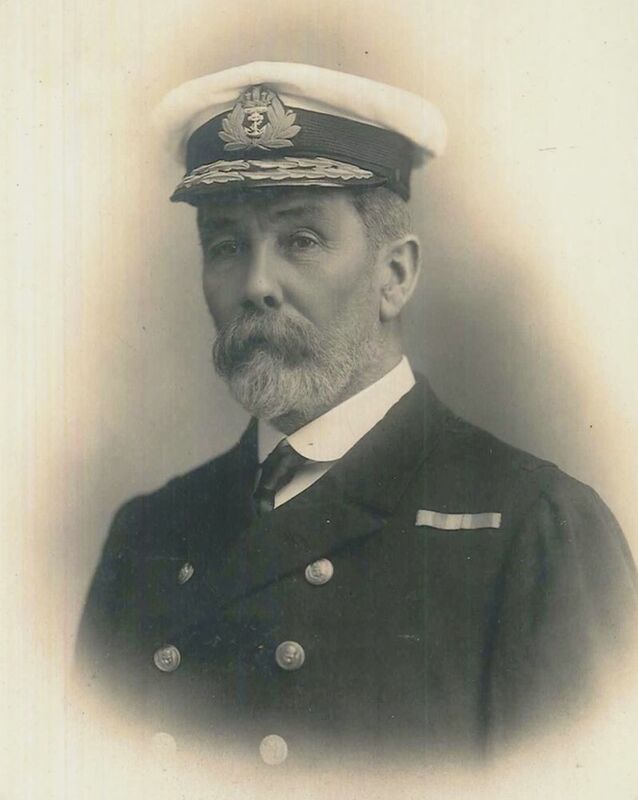 Creswell soon emerged as the nation's chief spokesman on naval matters and, on 25 February 1904, the government appointed him to a newly created position of Naval Officer Commanding the Commonwealth Naval Forces (CNF). This was in addition to his duties as naval commandant in Queensland and, after 20 October 1904, in Victoria. In December he became Director of Naval Forces, pending a board of administration, and in January 1905 he was made a member of the Council of Defence and of the Australian Navy Board, while remaining navy commandant in Victoria. Creswell was a persistent advocate for new ships and increased manpower for the CNF. He found support in both the Deakin and Fisher Governments but none in the Admiralty. In February 1909 the Fisher government decided to press ahead and order three destroyers: Parramatta, Yarra and Warrego. The 1909 Imperial Defence Conference, alarmed by the rapid increase of German naval power, recommended the acquisition of one battle cruiser, three unarmoured cruisers, six destroyers and three submarines. The proposal came from the Admiralty which by then acknowledged Australia's needs in the existing international situation. The order for construction of the new vessels was placed soon after. Having been an advocate for a navy Creswell now found himself administering one. He was promoted Rear Admiral and became First Naval Member of the Australian Commonwealth Naval Board on 1 March 1911. He was appointed KCMG in June. 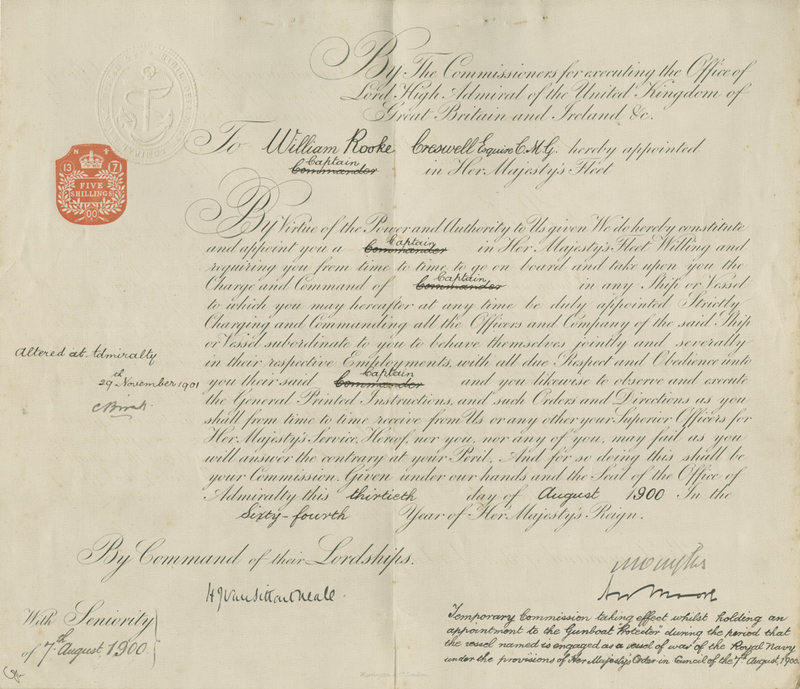 On 10 July King George V granted the title of 'Royal Australian Navy' to the Permanent Commonwealth Naval Forces. Rear Admiral Creswell following his appointment as the First Naval Member of the Australian Commonwealth Naval Board. The Australian Fleet Unit steamed into Sydney on 4 October 1913 at which time Admiralty control of the Australian Station ceased. That the Australian ships were ready for active service less than twelve months later when war began in August 1914 was mainly due to Creswell’s efforts. The new Australian fleet proved to be the strongest Commonwealth naval force in the Pacific and its presence effectively influenced the German East Asiatic Cruiser squadron to abandon the Pacific. Later the light cruiser HMAS Sydney (I) was to win for the fledgling Australian Navy its first single ship battle honour when it engaged and destroyed the German raider, SMS Emden. Creswell was active in formulating a post-war defence programme based on lessons of the war, reaffirming the importance of continued development of the Royal Australian Navy and not a return to reliance on one great Imperial navy. He was appointed KBE in 1919 and relinquished office on 14 August that year before formally transferring to the retired list on 27 November. He was promoted vice admiral in September 1922. In retirement he engaged in farming at Silvan, near Melbourne, and kept up his interest in public affairs. Survived by his wife and three of their six children (two sons had been killed in action during World War I) he died on 20 April 1933 following a bout of pneumonia. Regarded today as the 'Father of the Royal Australian Navy', the home of the Royal Australian Naval College, HMAS Creswell, is named in his honour. Edited from the Australian Dictionary of Biography entry by Robert Hyslop.